Snaps into place at any level. No bolts required. The ROHN 55G tower is a popular choice for large VHF/UHF antennas and medium Microwave antennas. Compliments the Work Platform Accessory (WP55G). Consult ROHN Catalog Links at Footer Section below for ROHN Tower Details. 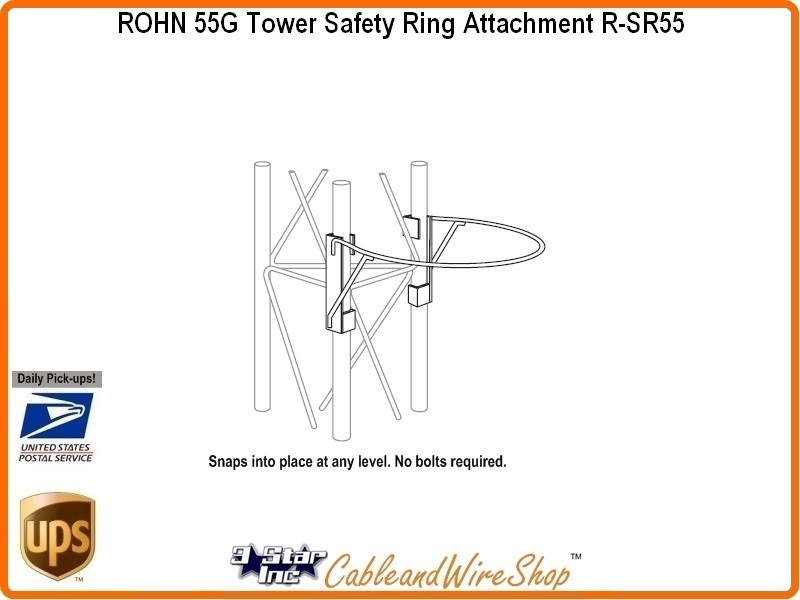 Note: ROHN SR55 Safety Ring Snaps into place at any level on the 55G Tower Series. Safety at any time, Before, During or After Tower Construction without Pre-Assembly and No Bolts Required. American Steel. Buy ROHN, Buy American.